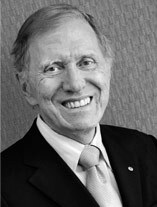 Michael Kirby was Australia’s longest-serving judge when he retired from the country’s highest court in 2009. He was first appointed to judicial office in 1975. From that year until 1984, he served as inaugural chairman of the Australian Law Reform Commission. He has also held many international posts, including UN Special Representative for Human Rights in Cambodia and President of the International Commission of Jurists. the UNAIDS Reference Group on HIV and Human Rights. Michael was the recipient of the Australian Human Rights Medal in 1991, the UNESCO Prize for Human Rights Education in 1998, and the Gruber Justice Prize in 2010.